Twilio integration is available out of the box with Opsview Monitor. 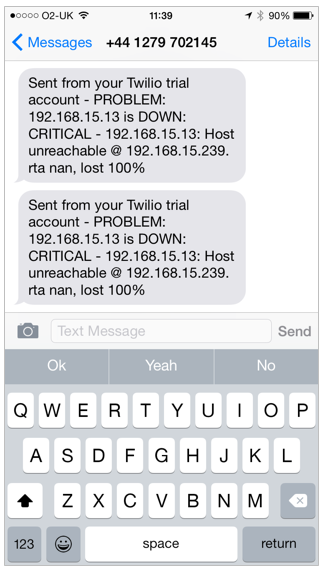 Twilio is a messaging platform that allows Users to send all alerts from Opsview into Twilio, and create rules that can notify specified Users using specified methods - including voice calls! To configure Twilio integration, Users need to setup an account on Twilio and follow the steps provided in Opsview Knowledge Center to activate it on the Opsview system.